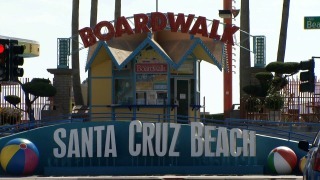 File image of Santa Cruz Beach Boardwalk. For those Bay Area residents seeking a cameo on the big screen, the latest opportunity is just around the corner. Paramount Pictures is seeking extras for a movie project that is slated to be filmed in Santa Cruz between Sept. 20 and 22. Casting directors are looking for people to play a wide range of roles including surfers, skaters, artists, tourists, hippies, musicians and more.